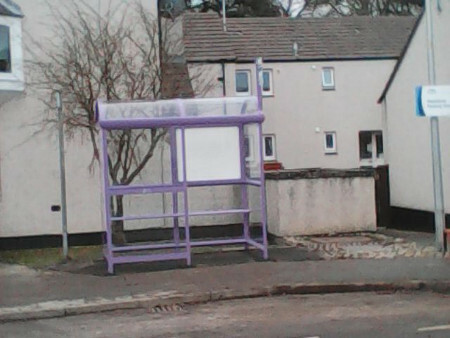 The Gurn's fake news department was willing to set up an unofficial opening of the bus shelter at Whinnieknowe with Murd cutting the ribbon etc but the nearest thing we have in Nairn to a Citizen Caped Crusader was quite happy to let the moment pass without such a grand ceremony. "A nice new shelter put up today for the residents and others at Whinnieknow lets be hopeful the powers that be, will see the scene and allow one at the Hospital. " Well payed Murd. Just shows what a determined old Shanky can achieve when they put their mind to it. Looks a bit squint! ... only joshing, well done Sir Murd! One down and one to go. Excellent work keep up the onslaught publicly for the bus shelter at the hospital. Perserverance has worked so far so keep nipping at the heels of those who can make it happen!